Looking for Live Streaming solutions? Muvi can help you go-live with your content, event or channel instantly! Live Stream sports, events, news or even business conferences & training to your audience instantly. Muvi’s Live Streaming engine has the capability to manage everything that lets you launch a Multi-Screen Live Video Streaming platform without any knowledge of coding or IT-related headaches. From something as complex as live streaming TV Channel feeds to something as simple as laptop, webcam and mobile camera based feeds, our live streaming software & technology supports all kinds of requirements and can be customized to support whatever your need might be. Experience the magic of Live TV Streaming Everywhere. Muvi supports direct satellite feeds for streaming Live Events, Sports etc. With Muvi's unique Playout feature, you can schedule 24*7 Live Movies/Shows just like a traditional TV guide. Muvi is equipped with everything to handle & process RAW feeds from Camera to convert them to live streaming for your viewers. Simply share your feed from video source and Muvi will convert & transcode the feed to various formats and syndicate the same for live video streaming using our CDN to your viewers in no time. Your viewers get the advantage of variable Bitrate management, pause, rewind, record and an option to immediately provision the feed for On-Demand viewing once the Live Streaming is over. Muvi supports both RTMP and HLS feeds for your Live streaming service. Simply enter your live Feed URL in the backend and Muvi's Video Player will embed the feed and play it back to the viewers immediately. No time lag, no frames lost. Long gone are days of separate platforms for Live Streaming and On-demand contents. Muvi offers you unique support to run a combination of Live and On-demand Videos simultaneously on a single platform. 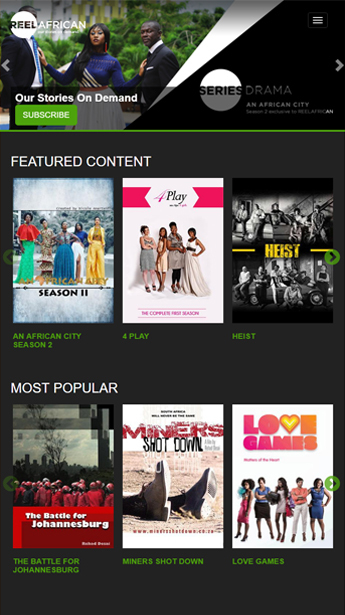 With Muvi, you can even monetize your Platforms with different options for Live Streaming and On-demand Videos. Want your viewers to directly stream live feeds from their mobile camera? Muvi can help you launch your own Periscope or Facebook Live like service in no time. With our Mobile Apps for iOS and Android, you can turn on Peer-to-peer live video streaming functionality from within your admin panel and let your users stream live content directly from their phones and share their live streaming channels with friends, family and rest of the world. Muvi is simple and flexible for streaming Live from your website. Let your viewers embed and share your Live Streaming feed. With simple copy & paste process, you can share your Live Streaming with 3rd parties and let them embed your event or channel on their websites for wider reach that can be accessed from any device - desktops, mobile, tablets. Livestream more and earn more. Muvi offers you professional tools and utilities to monetize your Live Streams on all fronts like Subscription, Pay Per View or Ad-Supported Model. The revenues are directly linked to your bank accounts and you share no penny with Muvi. No Manual Intervention means no need to frequently upsize and downsize your infrastructure needs. Our unique offering is build to scale as the number of concurrent viewers increase on your platform. Muvi Enterprise plan supports unlimited concurrent viewers for your Live stream and scales automatically when the demand surges. You need not worry!. Some examples of sites powered by Muvi.